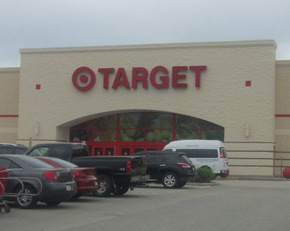 Target has announced that it will offer one year of free credit monitoring and identity theft protection to all Target customers who shopped U.S. stores, to provide an added safeguard following the recent data breach. To provide the free credit monitoring and identity theft protection, Target has selected ProtectMyID, a service provided by Experian. Experian is a leading global information services company that helps individuals understand and keep track of their credit reports, as well as monitor for and resolve identity theft. To receive the free service, a Target customer must request an activation code before April 23, 2014 and then register for the offer through ProtectMyID before April 30, 2014. In addition to a complimentary copy of their credit report, Target customers who sign up will receive daily credit monitoring, identity theft insurance (except where prohibited by law), and have access to personalized assistance from a highly trained Fraud Resolution Agent. Access to the Fraud Resolution Agent will continue even after other benefits of the initial one-year ProtectMyID membership expire. After 12 months, those who register have the option to continue their memberships at their own expense. This ProtectMyID package includes tools customers need for credit monitoring and identity theft protection. It does not include Experian credit score or reports from Equifax and TransUnion. When visiting the enrollment site, Target customers will have the option to purchase these additional products at their own expense if they choose, but are not required to purchase a credit score to receive the benefits of credit monitoring and identity theft protection. Visit creditmonitoring.target.com to request an activation code and click here for additional details on how the offer works. © 2014 IllinoisBusinessAttorney.com. All rights reserved.